^ George P. Boza. 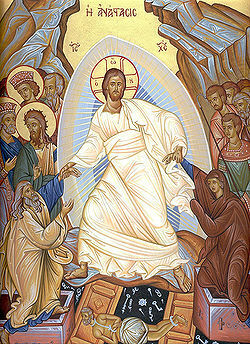 The Orthodox Iconographic Depiction of the Resurrection (PDF). [2018-04-01]. ^ Metropolitan Hierotheos of Naupaktos. Οἱ Δεσποτικὲς Ἑορτές [The feasts of the Lord]. Lebadeia, Greece: Hiera Mone Genethliou tes Theotokou [Pelagias]. 1995: 262, 263. ^ Why is Ham a Traditional Easter Food?. HubPages. [2018-04-01] （英语）. ^ Christianity: Lent. BBC. [2018-04-01] （英国英语）.